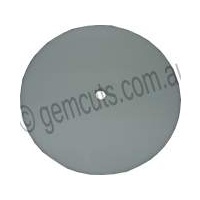 GemPro diamond disks are a fully Australian manufactured sintered faceting lap. 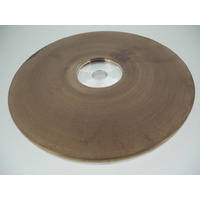 If you are sick of replacing laps that always seem to be wearing out it could be time to try a sintered faceting lap. 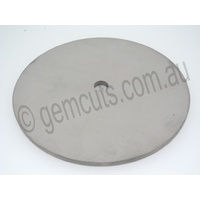 Our Australian made sintered laps average between 3mm to 3.50mm of diamond matrix. You won't believe how long these laps last. 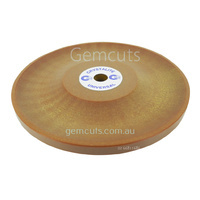 GemPro sintered faceting laps are specially formulated bronze with built in lubricant to promote a slick but aggressive grinding action giving a worn in rolled diamond lap finish that we all want from our laps. The exception is our 3000 lap which is specially formulated copper instead of bronze. This lap likes a generous amount of water during use to flush away swarf and keep the stone cool. The copper is softer than a normal sintered lap so care needs to be taken not to introduce the facet too aggressively to the lap. 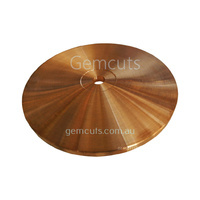 USE ONLY FOR FLAT FACETING AVOID ROTARY ACTIONS LIKE BY A GEMMASTA PREFORMER OR FREE- HAND GRINDING. A sweeping action across the whole lap surface is preferable to maintain the laps flatness. 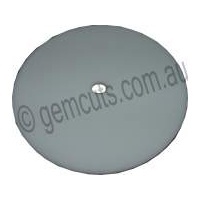 GemPro sintered laps are permanently bonded to a machined master lap. 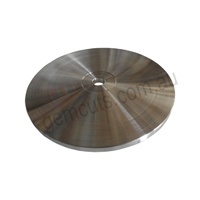 The laps are balanced to enable cutting speeds of up to 3000rpm with no vibration. 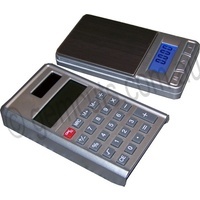 They are ideal for those who want high volume production and long life from their disks. A 1/2" arbor hole is standard. Dressing can be done by using a silicon carbide fine grinding block or white aluminium oxide dressing stick. 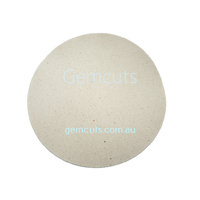 You can also dress it by using a fine corundum grit on a sheet of glass. As this is locally made lap you can return this for professional redressing and balancing for a small fee.